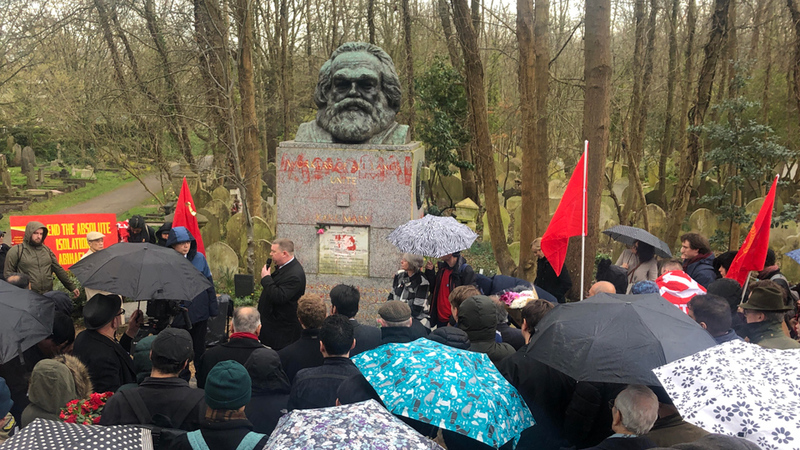 LONDON—It’s only a 40-minute walk up to Karl Marx’s final resting place tucked inside the historic Highgate Cemetery. Stepping out the front door of my flat in London’s Holloway neighborhood, greeted by cliché English weather, it’s a sharp left turn past the bustling local Islamic community center, and straight up Holloway Road towards Highgate. There’s no need for headphones. The sights, sounds, and delicious scents rising from one of the most diverse London neighborhoods are good enough company during the walk. Over time, the sounds quiet down and the neighborhoods change. Historic architecture surrounds you—putting America’s 243-year existence into an interesting perspective, and you find yourself staring up at St. Michael’s Cathedral from the corner of Swain’s Lane. It’s a steep climb up to the visitor entrance, but I was joined by several dozen people, and we were greeted by dozens more at the entry kiosk. It was Sunday, March 17, and socialists, Marxists, communists, and everyone in between, from all over the world, gathered together for the annual Marx Oration. Turnout was high for the event, and the mood somber. Marx’s London tomb stood stained with red paint, its memorial plaque smashed after two separate acts of vandalism in February. 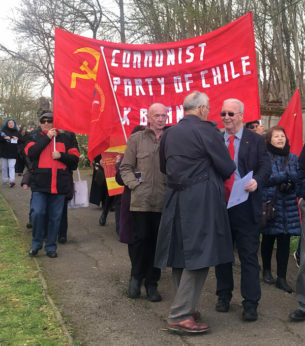 As the event ended, several foreign embassies including Cuba and Vietnam, along with the Tudeh Party of Iran and the Communist Parties of Chile, Iraq, Cyprus, and Greece, laid flowers and wreaths at the gravestone bowing their heads in respect while raising their fists in solidarity. Making my way through the crowd, I stopped to shake hands with Robert Griffiths, General Secretary of the Communist Party of Britain (CPB), and asked if he had a few moments to chat. He asked what I’ve been up to since arriving in Britain. “For the most part sitting in the House of Commons for hours on end listening to Brexit debates,” I said. As we walked a bit to get away from the crowd, I asked Griffiths for his initial opinion on the whole Brexit mess. A free market paradise…talk about a pie in the sky dream, I thought to myself. “What’s the left’s general feeling about Brexit?” I asked. Griffiths says the left in Britain, and particularly the Communist Party, has always opposed the EU, but for quite different reasons than those put forward by the right. I then inquire about Griffiths’ thoughts on the split between rank and file union members who voted to leave, and the leadership of the Trades Union Congress taking up the Remain banner. The breeze picked up, and we took a quick pause as people came up around the corner. 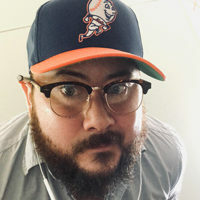 The issues rank and file members have with labor leaders in the U.K. reminded me of the similar issues facing American union members—the idea that labor is incapable of winning any pro-worker battles without the Democratic Party has long been the narrative. It is only recently that we have seen the much-needed re-emergence of militant organizing throughout the private sector. After shaking hands, Griffiths turned back to me saying, “Sorry about that… Now, where was I… Oh yes…There are huge social and economic and industrial problems here that we need to get a grip on and to some extent they’ve been overshadowed by Brexit. “So, for those across the pond, what advice would you give for understanding Brexit?” I asked. 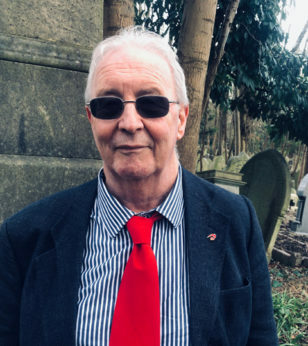 Griffiths said that British Communists would “urge our friends and comrades on the left in the USA to not believe everything you’re being told about Brexit. Not all the 17.4 million people who voted to leave are racists and bigots and so on. There has been atrocious propaganda peddled by the pro-EU forces in Britain to completely misrepresent the standpoint of most people that voted [to leave] on the grounds of democratic accountability, national sovereignty, and the desire to have the future of the country decided by the people of Britain. I shut off my tape recorder, shook Griffiths’ hand, thanking him for taking the time to talk. I snapped a quick photo and walked with him out to the cemetery’s front gate. “You joining us for a pint over at the Oak and Pastor?” Griffiths asked. People’s World correspondent Al Neal’s earlier Brexit coverage from London and Brussels is available here.